The Farr Place: What do I do? There's a dent in my trombone slide. What do I do? There's a dent in my trombone slide. This was one of my very first cartoons, and one of my favorites. 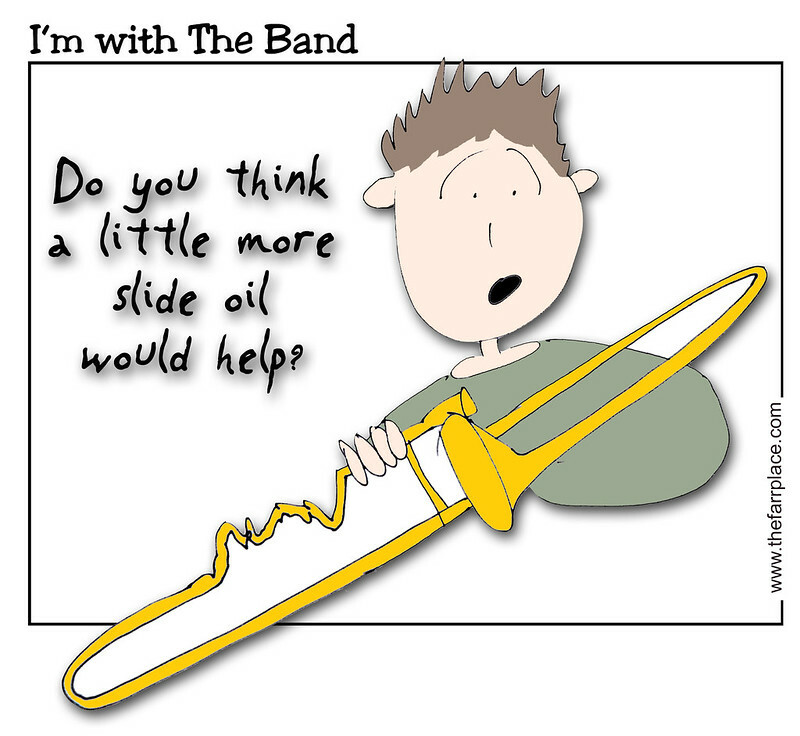 As a trombone player, I have dealt with many a dented slide. I've even tried to put as much slide oil as I had to "cover up" the evil dent just so I could play a little bit longer -- but to no avail. Pack up the trombone, give it to a passing gypsy, and learn how to play dominoes.